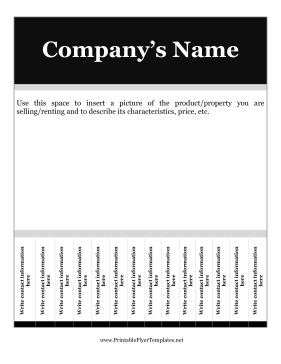 This very basic flyer template is highly customizable and includes tear-off tabs for your convenience. Dotted lines mark where you should cut, and interested people will be easily able to tear off the tabs with your contact information. Depending on what you are offering, you may wish to add a picture to this very useful and versatile flyer.